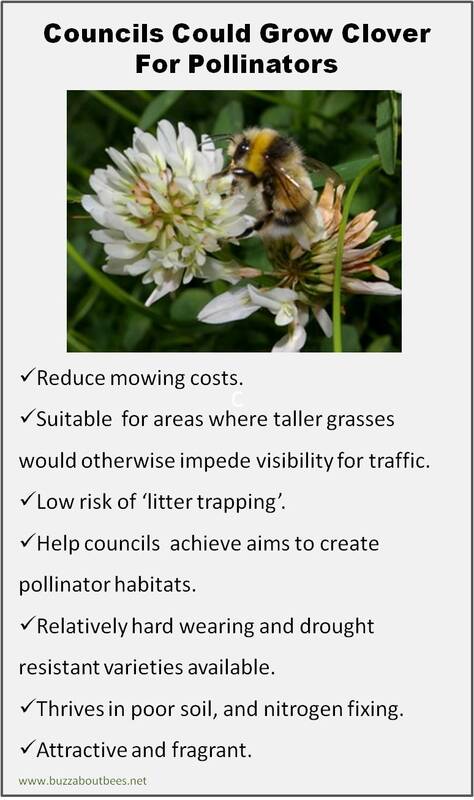 According to a press release from the British Beekeepers Association (BBKA), Friday 23 October 2017, its members are still concerned about neonicotinoids. According to the results of the British Beekeepers Association’s annual Honey Survey the average beekeeper in England produced 23.8 lbs (11.8 kilos) of honey this year – a decrease of 2.3 lbs over the previous year’s crop. An interesting comment came from Job Hobrough, who was recently awarded his BBKA certificate for sixty years of beekeeping and is the BBKA’s Adopt a Beehive representative for the North East region. “In those days (the 1950s) farmers under-planted crops with clover to nourish the land, nowadays there just isn’t time or space for this style of farming. I think it is having a huge impact on the honey crop, by reducing the forage available not just to honey bees, but all our insects". 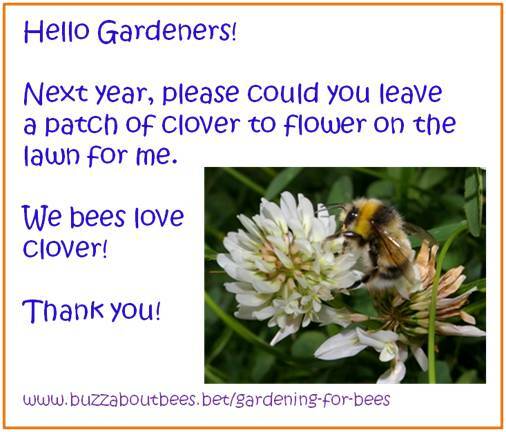 Indeed, I have been making the case for clover for years (please note, the images on this page feature a bumble bee, not a honey bee), and wrote a page about it here. It's a no brainer for council managed land and homeowners with a piece of lawn. It's so easy to grow and maintain, it's fragrant, pretty and helps bees.